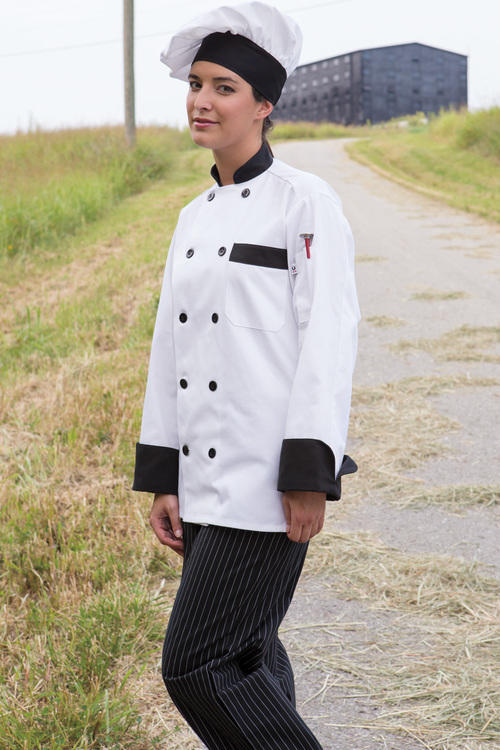 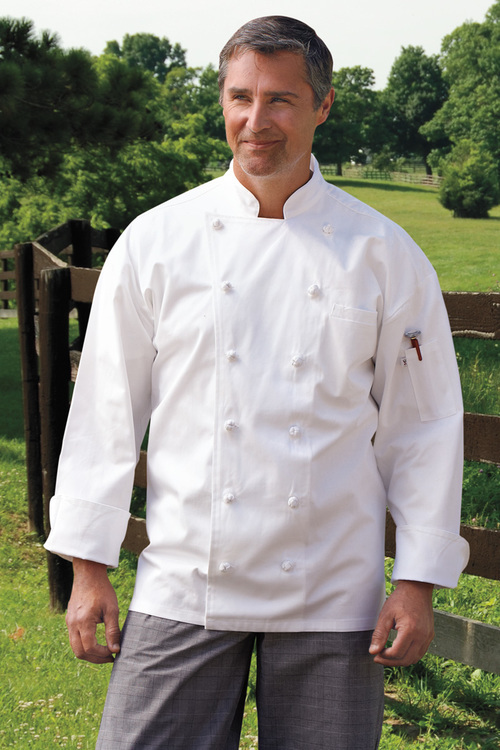 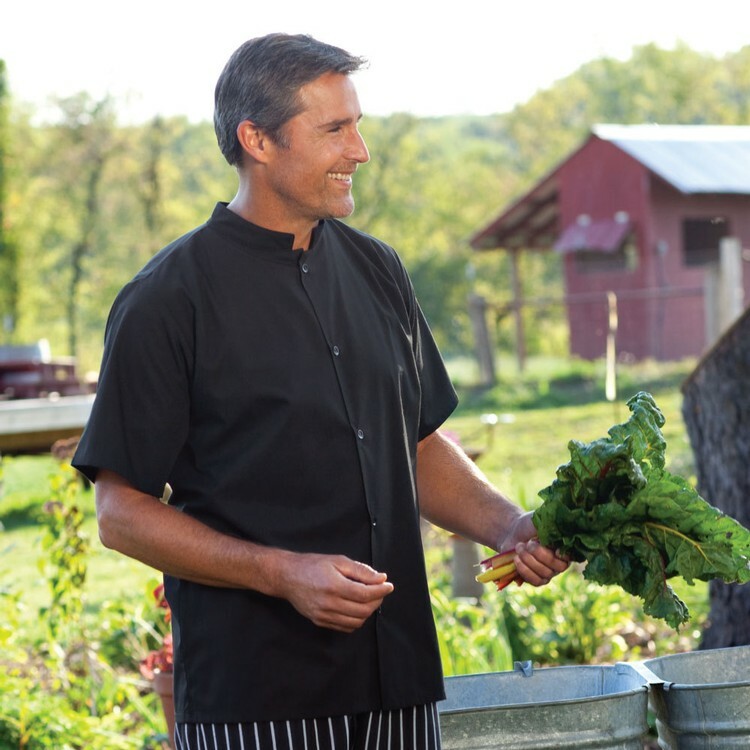 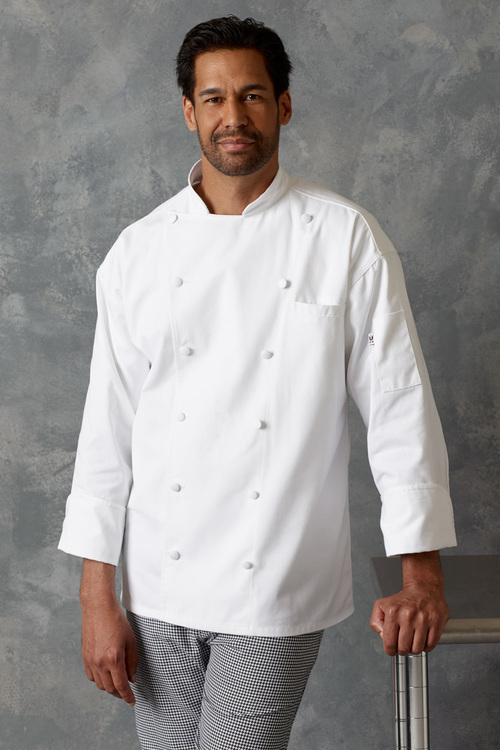 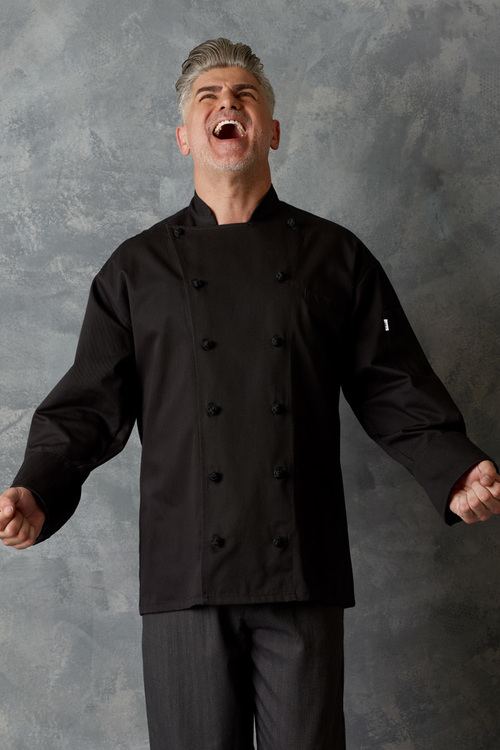 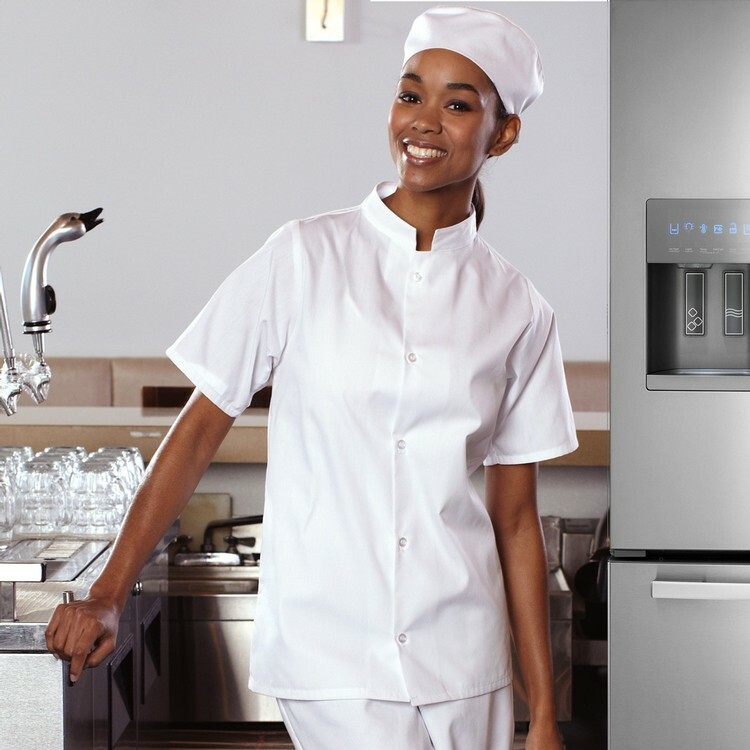 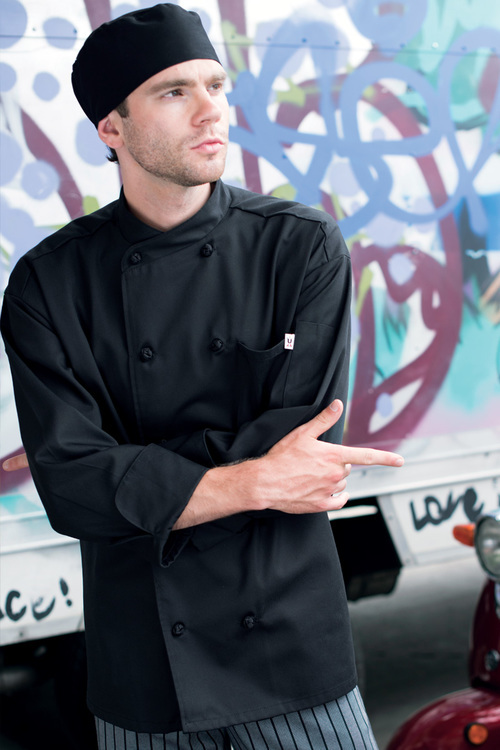 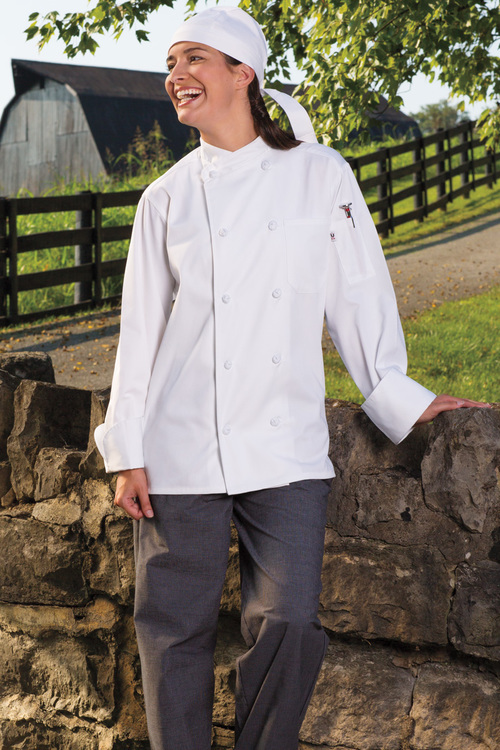 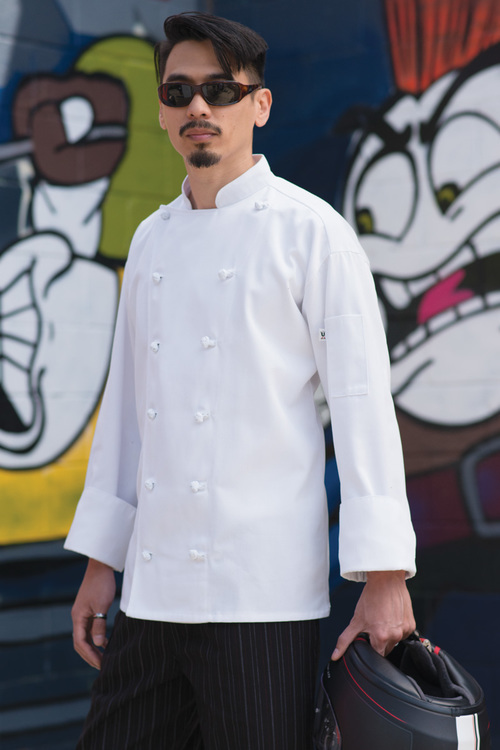 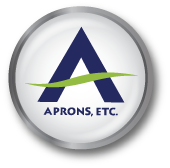 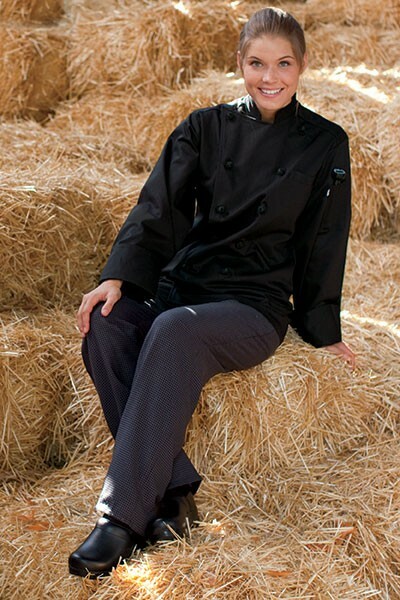 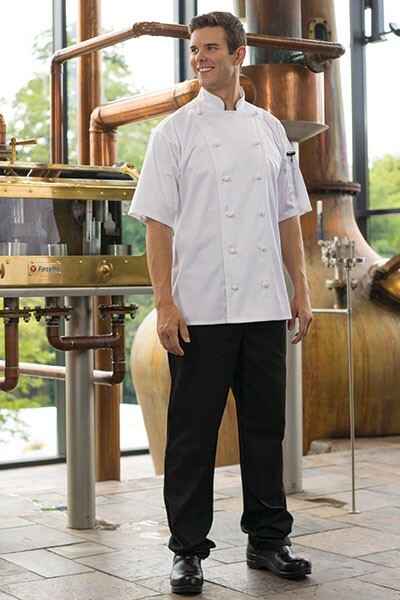 Executive Chef Coats & Pants | Product Catalog | Aprons, ETC. 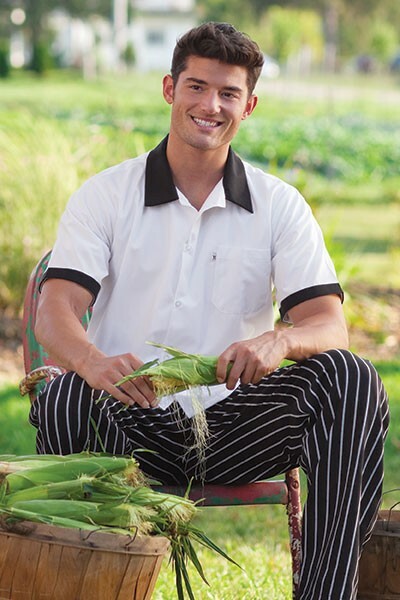 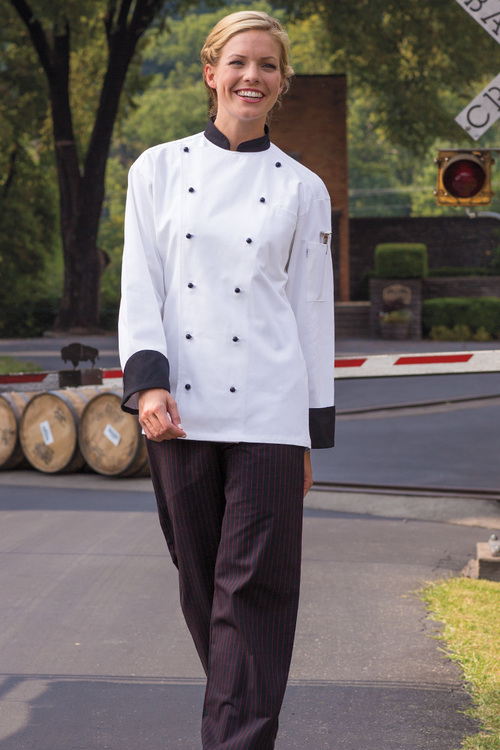 DESCRIPTION Chef pant has yarn-dyed fabric, offers comfort, durability and color retention. 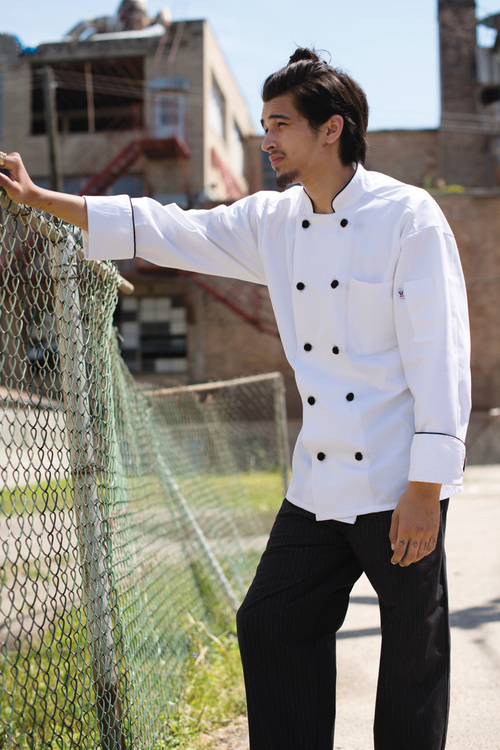 2” elastic waist with drawstring, 2 side & 1 back pocket. 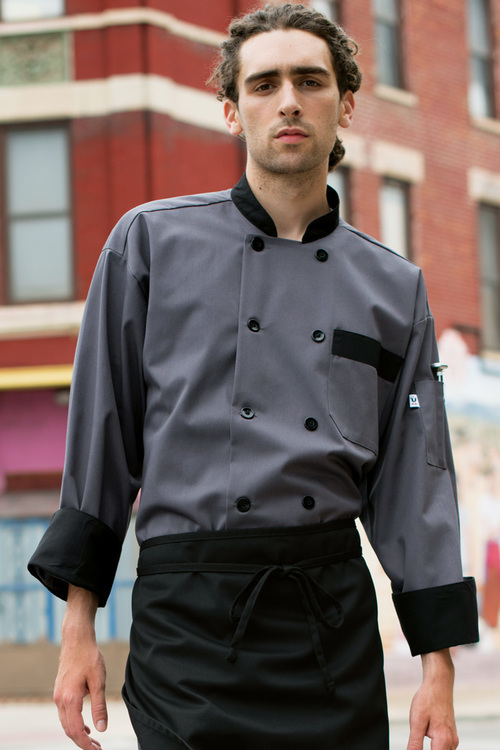 XS-XL CONSTRUCTION 7.5 oz. 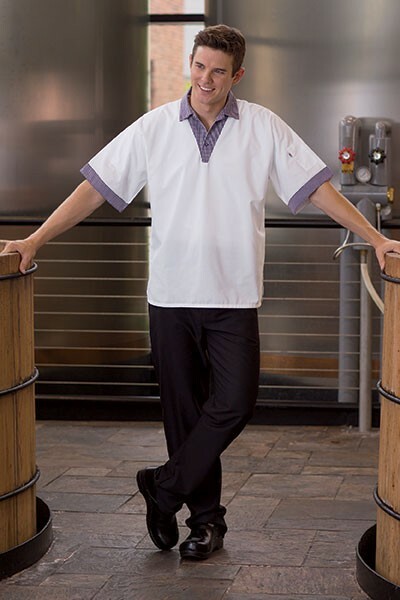 Easy Care 65/35 poly cotton twill PRODUCTION Blank - 48 Hrs. 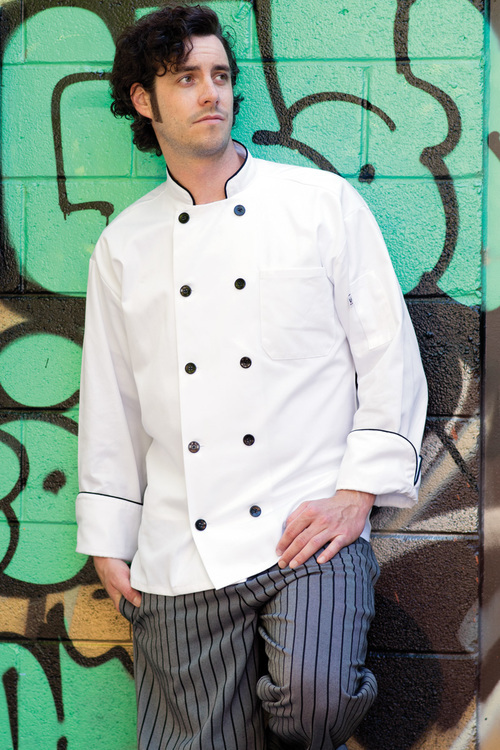 IMPRINT AREA n/aIMPRINT METHODn/a STOCK COLORS Inquire for colors.